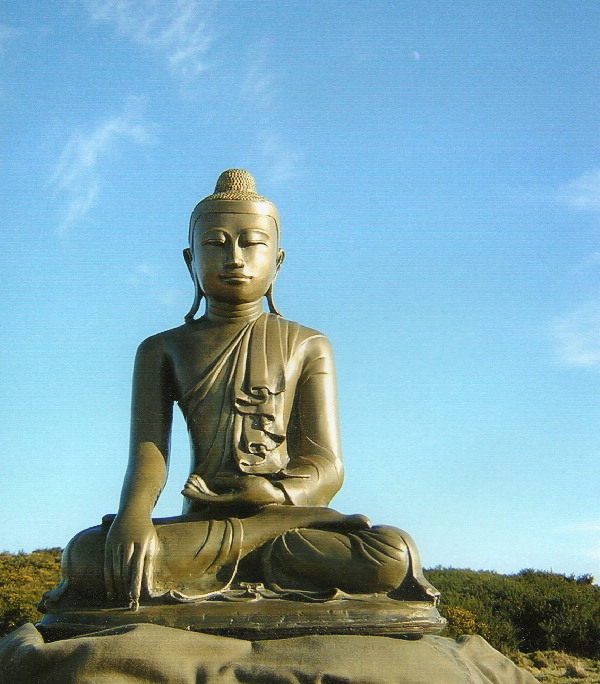 The Aberdeen Buddhist Group is an independent local Buddhist group, run by its members. It exists to help people practise Buddhism in Aberdeen. The core of our group is our weekly meeting, held every Wednesday from 7:30 to 9:30 pm. in the Quaker Meeting House (98-100 Crown Street, next door to Shirlaw’s Motorcycles). The usual format is a meditation followed by a break for a cup of tea, then a talk or discussion on Buddhist teachings and practice. Occasionally we celebrate a Buddhist festival instead. Sometimes we run our own Introduction to Meditation courses and day retreats. We also have a fortnightly study group, held in members’ homes on Sundays. Any member of the group can come to the study group so long as they have read that week’s text. Past books used by the study group have included Buddhist suttas, modern Buddhist writers and books on modern pyschology. The Aberdeen Buddhist Group aims to treat the dharma in a serious but non-dogmatic and friendly way. Newcomers often comment on the liveliness of the discussions. Our meetings are open to anyone, although we recommend coming to a beginners’ session first if you have no experience of meditation. All ABG events are either free or charged on a dana basis, where you choose the amount to donate. We are an independent group, open to anyone from any Buddhist tradition or none. Through our members we have particularly strong links to the Triratna Buddhist Community and to the Thai Forest Sangha. The Triratna Buddhist Community (TBC), formerly known as the Friends of the Western Buddhist Order, aims to distinguish the essential parts of Buddhist practice from cultural baggage and put them into practice in a modern context. The TBC runs a number of centres and retreat centres in Scotland, including the Dhanakosa retreat centre. Anyone from this tradition should find the practice of the Aberdeen group pretty familiar. The Thai Forest Sangha began in Thailand as an attempt to return to the monastic practice of the early sangha. It is now established in the West, including in Britain, but our links are through using books and teaching materials mostly from the Metta Forest Monastery, led by Ṭhānissaro Bhikkhu, in California. We also have members from other traditions, as well as people who do do not consider themselves to be Buddhist but find some aspect of the teachings useful. We aim to practice ‘basic Buddhism’, emphasising the ethical practices, meditations and philosophy which are common to most Buddhist traditions.